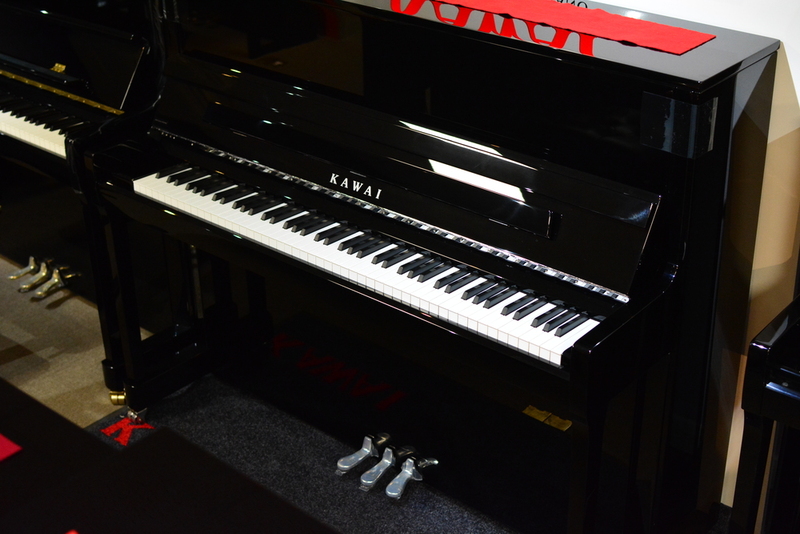 KAWAI are rapidly becoming one of the world's leading home piano brands - and their K-300 is the well-deserved star of the show! 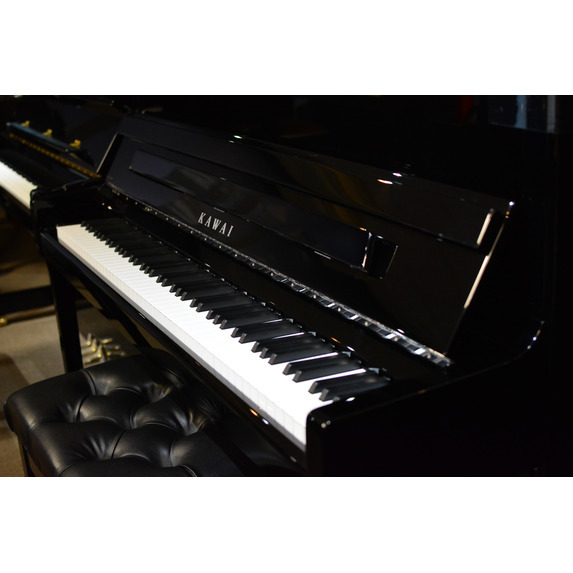 Representing KAWAI at the very top of their game, and building upon the success of its award-winning predecessor - the K-3, winner of Acoustic Piano of the Year for four consecutive years - KAWAI's highly anticipated K-300 proudly extends this distinguished legacy. With capabilities of Grade 8+, and a bright, evenly-balanced tone, the K-300 is the perfect accomplice for the seasoned professional, and a sophisticated starting point for new musicians. 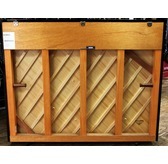 Standing at a convenient 48", KAWAI's K-300 incorporates longer keys, effectively emulating the feeling of a grand! The body features a solid Spruce Soundboard, which helps to capture the resonance of those warm, bass-tone values which for us, really formulate the heart of this gorgeous piano! 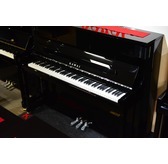 The K-300 is often compared to Yamaha's popular U1 upright, however, where Yamaha are the masters of traditional piano-making, KAWAI are at the forefront of cutting edge, ergonomic design, and this is really demonstrated in their acute attention to detail. Mahogany, double felted hammers provide the basis for a crisp and clear acoustic, and the Millenium III's Carbon Fiber Action, creates an effortless, efficient play feel - simply put, an increased stamina and less tired fingers! 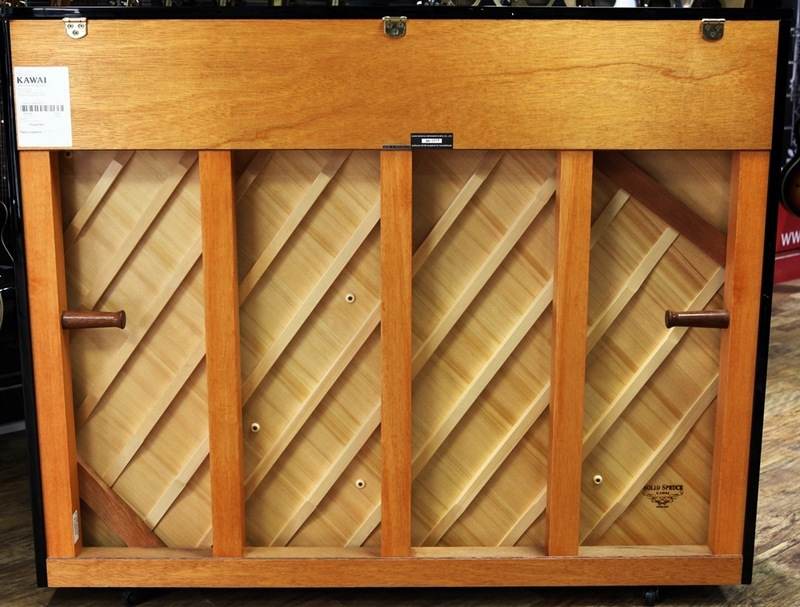 Soft Fall System - A unique piano lid closure system, designed to eradicate harm to both piano and fingers alike; useful if you've got curious little fingers or young aspiring musicians around! 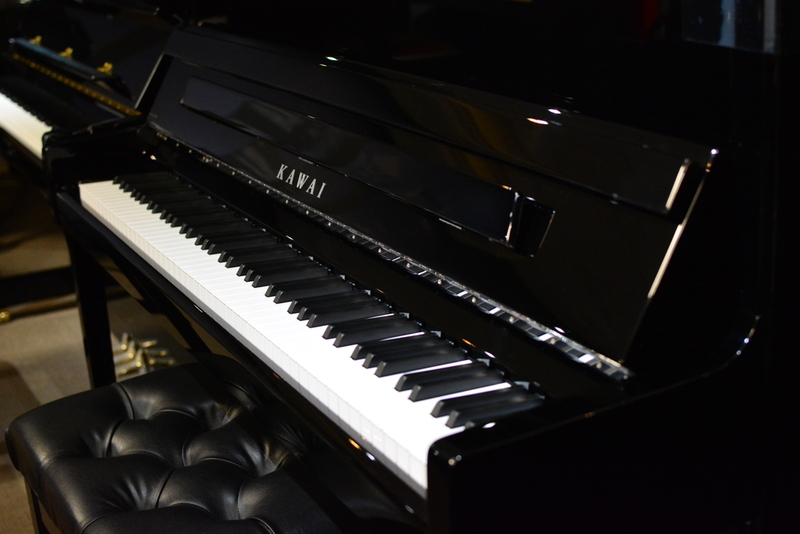 Millenium III Carbon Fibre Action - Not meaningless sales jargon, but Kawai's exceptional modern take on traditional piano design. 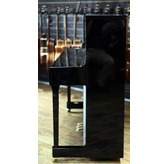 Piano hammers are usually fabricated from wood, however, Kawai have replaced some components with ABS Carbon Fiber. 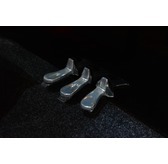 This ingenuitive addition, reduces player fatigue, and increases both durability and speed, allowing for a faster, more responsive set of keys. 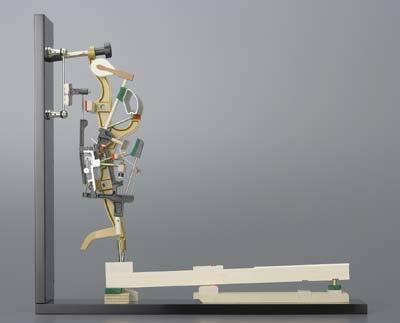 An improvement on the K-3, the K-300 has been endowed with the useful boost of a longer key-length. 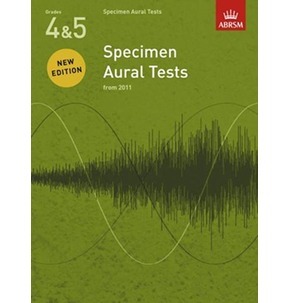 This not only improves player-control, but also improves tonality and complexity of sound, especially when playing the upper dynamic range. Those Mahogany Double Felted hammers work as additional insurance against distortion. 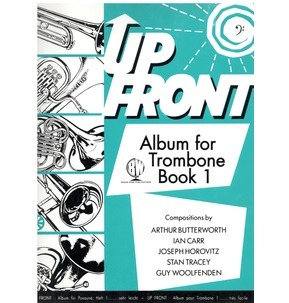 Fashioned from KAWAI's trademarked NEOTEX key surface material, made using cellulose fiber and a semi-porous, silica-filled surface, which simulates the feeling of natural ebony and ivory. 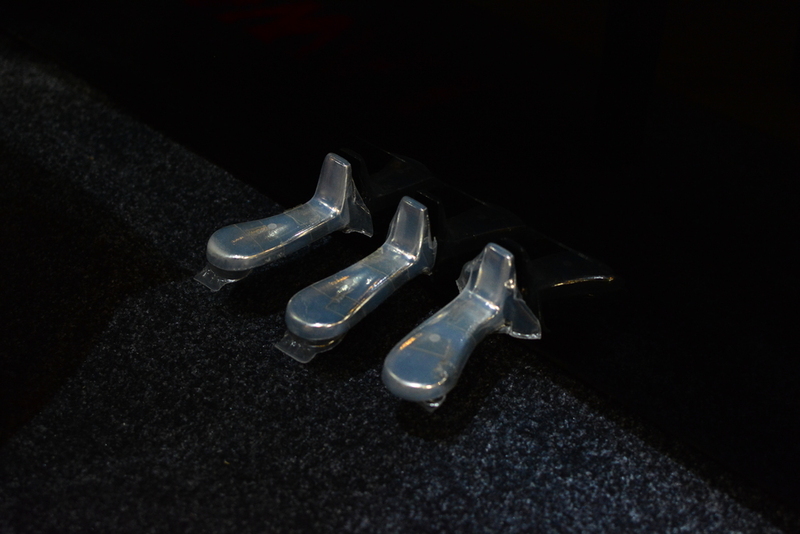 NEOTEX is an absorbant composite material that adeptly handles naturally occusing hand oils and perspiration which can exacerbate slipping - an annoyance to many a pianist! Neotex stands the test of time, by resisting cracking and fading, and is used across the entire keyboard on both the sharps and natural keys. 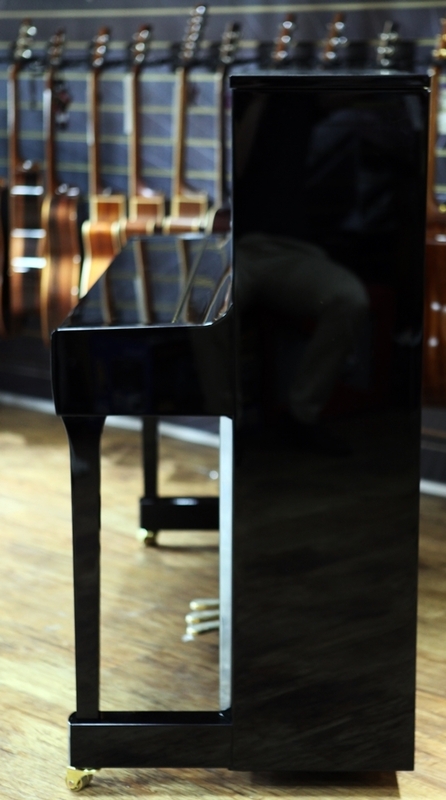 KAWAI's K-300 comes finished in a gorgeous Polished Ebony finish, and is also available with Nickel Hardware as opposed to Chrome.